WEEDID-IT ASSOCIATION MISSION STATEMENT: SPECIALIZING IN HOME BOUND MEDICAL MARIJUANA PATIENTS WHO ARE VETERANS OF THE U.S. ARMED FORCES AND ARE PHYSICALLY UNABLE TO CULTIVATE THEIR DOCTOR RECOMMENDED TREATMENT THEMSELVES AND WHO MIGHT BE ELDERLY AND/OR HANDICAPPED OR PHYSICALLY UNABLE TO TRAVEL. Because some of our members are home bound due to illness or other reasons and must rely on cannabis for medicinal use. Weedid-it Association strives to bring those members the highest quality of medicinal cannabis and service. 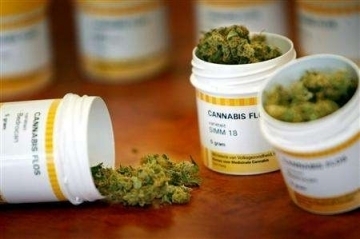 Weedid-it Association medical marijuana delivery service is always fast and always discreet. Weedid-it Association marijuana delivery collective is formed for the mutual benefit of it's patient members and articles of incorporation are on file at the Secretary of the State of California. C.A.H.C. merely facilitates the collaborative efforts of patient members, including the allocation of costs and revenues. We do not collect donations in exchange for marijuana, but we collect a fee providing a service for our members. Weedid-it Association provides cannabis delivery services anywhere in Los Angeles city, Orange County, San Gabriel Valley, San Fernando Valley and South Bay, Long Beach, Santa Monica and all beach cities. If you need a marijuana delivery service that will cater to your needs, then contact us today in Los Angeles city, Orange County, San Gabriel Valley, San Fernando Valley and South Bay, Long Beach, Santa Monica. Weedid-it Association has cannabis farmer members from all over California, who cultivate only the best medicine for our patient members. When you become a member of Weedid-it Association you can be assured you're going to receive the very best service and the best medical marijuana grown in the great state of California. Because Weedid-it Association, farmer members cultivate cannabis exclusively for Weedid-it Association. members. C.A.H.C. is able to provide medicinal cannabis directly at compassionate and affordable prices. Using member feedback, Weedid-it Association continues to develop information that helps to provide the cannabis that has the best therapeutic benefit for a specific illness or symptom like nausea, cancer, AIDS, etc. Safe Use Orientation is offered to patients who may not be familiar with strain selection, dosages and methods of ingestion. The California State Board of Equalization has determined that medicinal cannabis transactions are subject to sales tax. Al transactions have taxes included. Any medicinal products that are not dispensed through a licensed pharmacy are subject to sales tax. To become a member, you must be over 21 with a California ID and a current Physician’s recommendation for the use of cannabis is required. Weedid-it Association verifies all recommendations before providing services to members.